Some investors see the chaos as a chance to snap up shares in a service for which there is scarce alternative. Shares of Facebook Inc rose as much as 4.2 per cent on Thursday after Chief Executive Officer Mark Zuckerberg said the social network had not seen any meaningful impact on usage or ad sales in the wake of a data privacy scandal. The company's shares have sunk 16 per cent, wiping more than $80 billion from its market value since March 16, when the New York Times and London's Observer newspaper broke news of the use of its data by political consultancy Cambridge Analytica. Some investors see the chaos as a chance to snap up shares in a service for which there is scarce alternative, despite rising public scrutiny and the prospect of a grilling from U.S. legislators when Mr Zuckerberg testifies before Congress next week. Canada's province of British Columbia and Canada's federal government combined investigations on Thursday, saying they had launched a joint probe into Facebook and Canadian data firm AggregateIQ, while Australian authorities said they were exploring whether the social media company had breached user privacy laws. The California State Teachers' Retirement System, with nearly $1 billion in Facebook stock as of last year, on Thursday also said it would question the company about privacy protections. 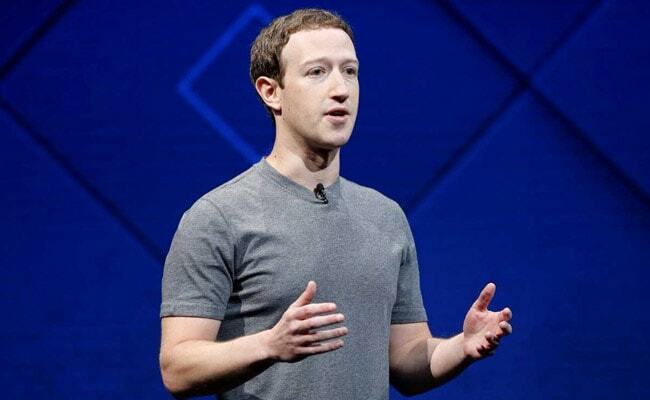 Despite the probes and celebrities including singer Cher, actor Will Ferrell and Tesla Chief Elon Musk deleting their accounts, Facebook's social app downloads improved on a monthly basis both in the United States and globally, according to Evercore ISI. Facebook expanded its share of social app downloads in March by 33.2 per cent from 30.1 per cent, Evercore data showed. Several Wall Street analysts said the stock's decline presented a good opportunity to buy into the social network's previously high-flying shares, although they cautioned that much will depend on Mr Zuckerberg's testimony to Congress. "We suspect that looking back a year from now, if not sooner, this episode will have been a uniquely compelling buying opportunity in the mega-cap internet space," Deutsche Bank analysts said. Companies including U.S. auto parts retailer Pep Boys, internet company Mozilla and German bank Commerzbank AG have suspended advertisement on the platform. Ms Sandberg also said a tool that allowed a researcher to gain access to personal information of up to 87 million users, complied with a privacy agreement the company signed with the U.S. Federal Trade Commission (FTC) in 2011. Her comments followed reports that the FTC was investigating the company over a possible violation of that agreement, which demands it to get user consent before sharing their information. Mr Zuckerberg said on Wednesday he accepted blame for the data leak and should have done more to audit and oversee third-party app developers like the one that Cambridge Analytica hired in 2014. Asked in the interview whether Mr Zuckerberg was still the right person to head Facebook, Ms Sandberg endorsed him: "I believe deeply in Mark. Mark had a vision for what social services and social sharing could be, and that vision remains really important." Mr Zuckerberg will testify about the scandal next week in front of committees in the U.S. House and Senate. Facebook shares closed up 2.7 per cent at $159.35.